Learn about the biology of the spine in this animated video describing the Central Nervous System, and the Peripheral Nervous System and their functions. 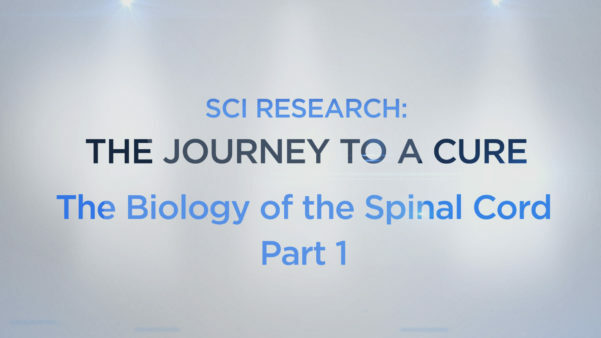 In this continuation of the biology of the spine we examine the formation of the glial scar, and the impact of a spinal cord injury on the human body. Dr. Michael Fehlings discusses the topic of Neuroprotection, and ways to minimize the damage caused by a spinal cord injury in the acute phase. In this video, our Director of Research, Anita Kaiser discusses therapies aimed at Restoration, including the use of Chondroitinase ABC and Intracellular Sigma Peptide. 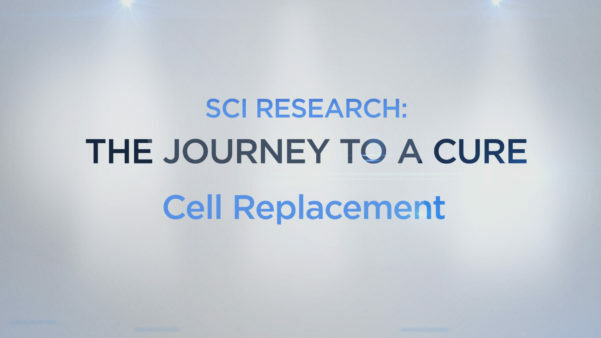 Learn about cell replacement therapies aimed at restoring neuronal activity in the spine post-injury. In this episode, we hear about the promising work being done with spinal scaffolds, neurotrophic factors, and other methods of regenerating neurons at the site of a spinal cord injury. Hear from Dr. Marquez-Chin about the retraining therapies showing the most promise in SCI research: Functional Electrical Stimulation (FES), Brain Machine Interface (BMI), and Neuromodulation. Researcher Dr. Musselman describes Restoration techniques aimed at restoring functional recovery such as ABRT (Activity-Based Restorative Therapies) and Functional Electrical Stimulation (FES).